At Molson Coors, we believe in brewing and selling our beers the right way. We call this Our Beer Print. Four centuries of Dutch artistry has resulted in a 5% premium lager with an unconventional twist. Using two types of hops, crafted to fully engage the senses with a vibrant taste and crisp finish. Perfect for cheese and meat boards or creamy dishes. At Grolsch we have a history of doing things differently. Inspired by Brewmaster Peter Kuijper who over 400 years ago pushed boundaries by first combining two types of hops and launched the iconic swing top bottle. 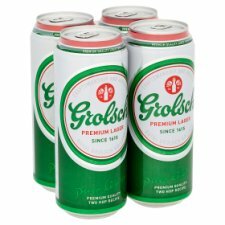 Grolsch is unconventional by traditional since 1615.